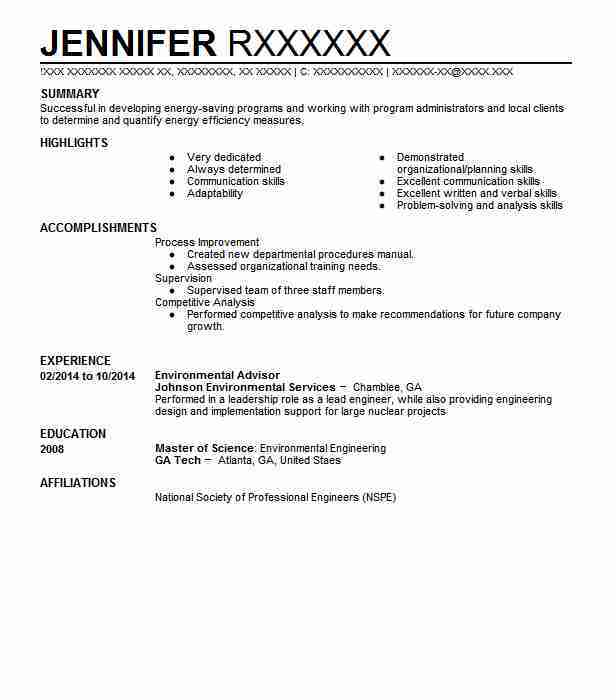 Dedicated Environmental Advisor who is especially experienced with environmental management duties within the oil and gas industry. Adept at accessing and utilizing various electronic compliance management systems. Focused on implementing environmental regulations and tracking relevant data. ¥ Identified environmental treats and resolved issues in accordance with EPA regulations. ¥ Developed detailed environmental input plans and related follow-up documentation. ¥ Provided technical assistance for various projects as assigned. ¥ Implemented and analyzed the progress of various environmental management programs. ¥ Prepared reports detailing the potential environmental impact of various projects. ¥ Developed environmental training procedures for existing staff and new hires. ¥ Developed and implemented environmental improvement programs. ¥ Researched new methods to prevent environmental threats with upcoming projects. ¥ Secured permits for local drilling projects. ¥ Prepared daily weekly and quarterly environmental impact reports. 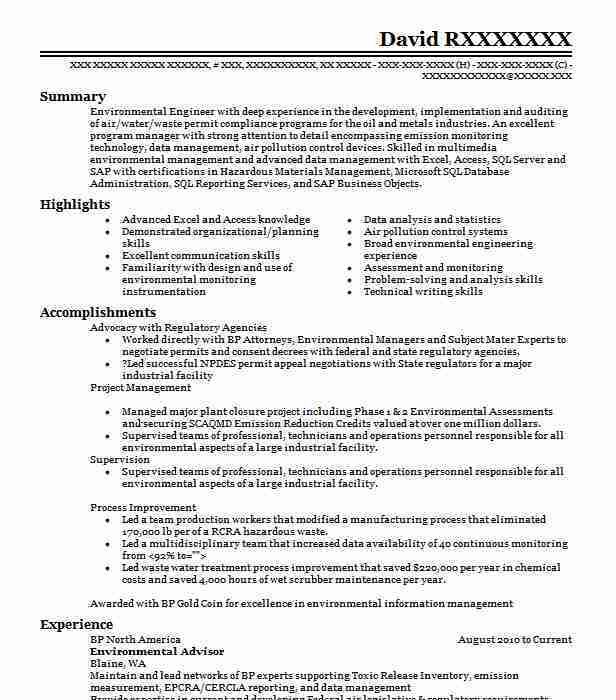 ¥ Established project objectives and ensured compliance with EPA regulations. ¥ Implemented updated environmental monitoring procedures and provided related training. There are plenty of opportunities to land a Environmental Advisor job position, but it won’t just be handed to you. 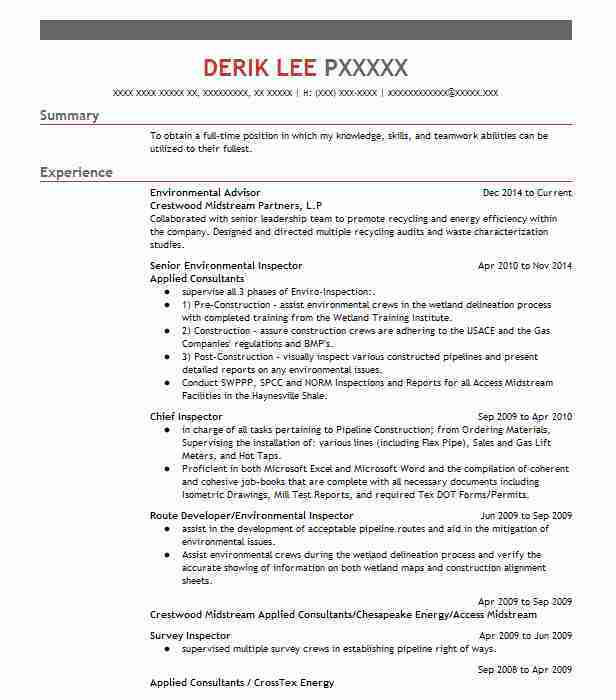 Crafting a Environmental Advisor resume that catches the attention of hiring managers is paramount to getting the job, and LiveCareer is here to help you stand out from the competition.